Wearable biometric technology is currently revolutionizing healthcare and consumer electronics. Internet-enabled pacemakers, smart watches with heart rate sensors and all manner of medical equipment now merge health with convenience. This is all a step in the right direction, but not quite the end goal. In fact, it seems that we’re past the point where technology can fix all the problems we’ve created. If this is the case then, at the very least, I think we can have a bit of fun while we’re still alive. Let us not mince words: We’re headed straight for a global environmental collapse, and I propose we go out in style. For this reason, I’ve designed the Heart Rate Hat. 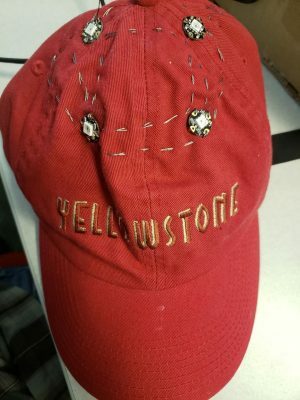 This headwear is simultaneously a fashion statement, a demonstration of the capabilities of biometric sensors and the first step to the creation of a fully functioning cyborg. The Heart Rate Hat is exactly what I need to tie together my vision for a cyberpunk dystopia. Combined with other gear from the lab, such as our EEG headset and our electromyography equipment, we could raise some very interesting questions about what kinds of biometric data we actually want our technology to collect. We could also explore the consequences of being able to quantify human emotion and the use of such data to make predictions. What once was the realm of science fiction, we are now turning into reality. 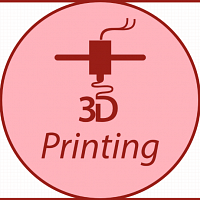 The design of the device is relatively simple. 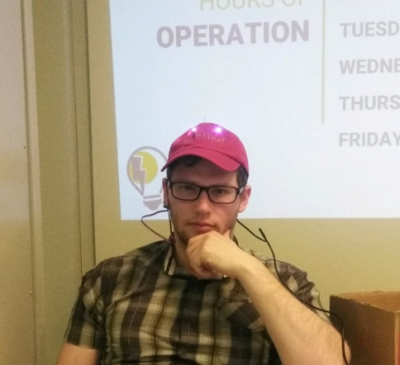 I used the FLORA (a wearable, Arduino-compatible microcontroller) as the brain of the device, a Pulse Sensor to read heart rate data from the user’s ear lobe and several NeoPixel LED sequins for output. The speed at which the LEDs blink is determined by heart rate and the color is determined by heart rate variance. In the process of designing this, I learned how to work with conductive thread, how to program addressable LEDs and how to read and interpret heart rate and heart variance data from a sensor. As these are all important skills for wearable electronics prototyping, a similar project may be viable as an introduction to wearable product design. Going forward, I would like to explore other options for visualizing output from biometric sensors. 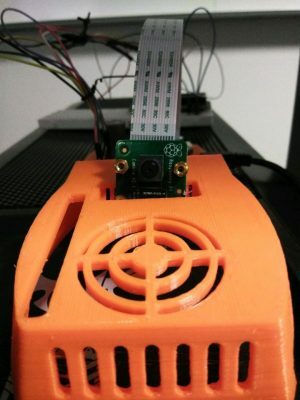 I may work on outputting data from such a device to a computer via Bluetooth, incorporate additional sensors into the design and log the data to be used for analysis. Artificial Intelligence is an interesting field that has become more and more integral to our daily lives. Its applications can be seen from facial recognition, recommendation systems, and automated client services. Such tasks make life a lot simpler, but are quite complex in and of themselves. Nonetheless, these tasks rely on machine learning, which is how computers develop ways to recognize patterns. These patterns require loads of data however so that computers can be accurate. Luckily in this day and age, there is a variety of data to train from and a variety of problems to tackle. For this project, I wanted to use AI to show how it can integrate with other innovative technologies in the lab. I went with object detection because its applications in engineering rely on micro-controllers, data analytics, and the internet of things. For example, a self driving car needs to be able to tell where the road is or if a person is up ahead. A task such as this simply wouldn’t function well without each component. Looking into the future, we will need more innovative ways to identify things whether it be for a car or for security surveillance. When I first started working in the Innovate Lab, I saw the LCD plate in one of the cabinet drawers and wanted to know how it worked. I was fascinated with its potential and decided to focus my project around the plate. 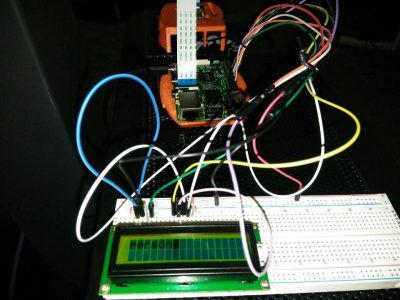 The project itself was to have a Raspberry Pi recognize an object and output the label onto an LCD plate. The first aspect, recognizing objects, wasn’t too hard to create. Online there are multiple models that are already trained for public use. These pre-trained models tell the computer the algorithm to recognize a certain object. The challenge came with the installation of all the programs required to use the model and to run the script. Afterwards, outputting the text onto the plate simply required me to wire the plate to the pi. The need for the plate was to show the results otherwise they’d have to plug in a monitor, but other alternatives could have been used as well. For example, the results could have been sent online to a web application or they could have been stored in a file on the pi. So far the results haven’t been always accurate, but that just leaves room for improvement. I am hoping that soon I will be able to run the detection script on data that has been streamed to the pi. Overall, I gained a better understanding of the applications of AI and engineering. This was only one of the many capabilities of AI and there is still so much more to try. 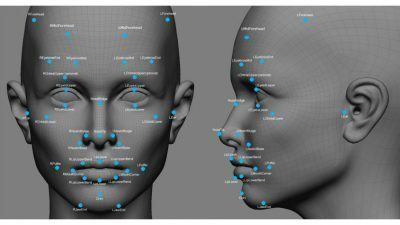 Nowadays programs made by companies like Apple and Facebook are capable of making software that can unlock your phone or tag you in a photo automatically using facial recognition. Facial recognition first attracted me because of the incredible ability it had to translate a few lines of code into a recognition that mimics the human eye. How can this technology be helpful in the world of business? My first thought was in cyber security. Although I merely had one semester, I wanted to be able to use video to recognize faces. My first attempt used a raspberry pi as the central controller. Raspberry pis are portable, affordable, and familiar because they are used throughout the OPIM Innovation Space. There is also a camera attachment which I thought made it perfect for my project. After realizing that the program I attempted to develop used too much memory, I moved into using Python, a programming language, on my own laptop. Installing Python was a challenge in itself, and I was writing code in a language I had never used before. Eventually I was able to get basic scripts to execute on my computer, and then I could install and connect Python to the OpenCV library. OpenCV is a database that used stored facial recognition data to quickly run face recognition programs in Python. The setup was really difficult; if a single file location was not exactly specified, or had moved by accident, then the entire library of openCV wouldn’t be accessible from Python. It was these programs that taught me how to take live video feed and greyscale it, so the computer wasn’t overloaded with information. Then I identified uniform perimeters of nearby objects in the video, traced them with the program using a rectangular, and used database files developed by INTEL to recognize if those objects were the face of a person. The final product was really amazing. The Python script ran by using OpenCV to reference a large .xml file which held the data on how to identify a face. The program refreshed real time, and as I looked into my live feed camera I watched the rectangular box follow around the contour of my face. I was amazed by how much effort and such complex code it took to carry out a seemingly simple task. Based on my experience with the project, I doubt that Skynet or any other sentient robots are going to be smart enough to take over the world anytime soon. In the meantime, I can’t wait to see how computer vision technology will make the world a better place to live in.